It’s Setsubun Day, in the nation of Japan. As described in yesterday’s post, the 21st of January was a pretty foggy day, which is something I consider pretty. 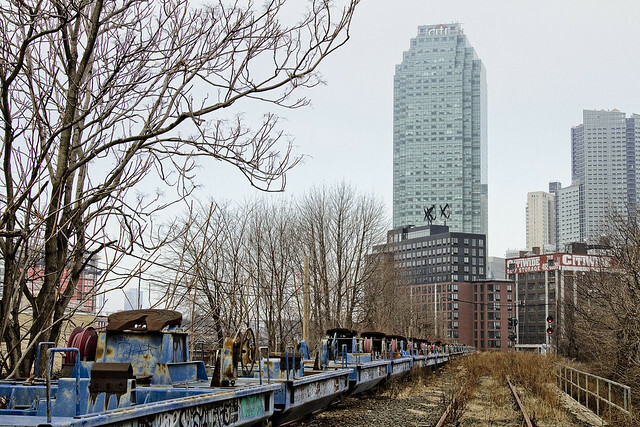 One made it a point of visiting several distaff locations around Long Island City to capture the scene. The shot above is something that all of you reading this will be able to personally enjoy sometime in the very near future, when the Smiling Hogshead Ranch expands its operations up to the abandoned trackway of the Montauk Cutoff. 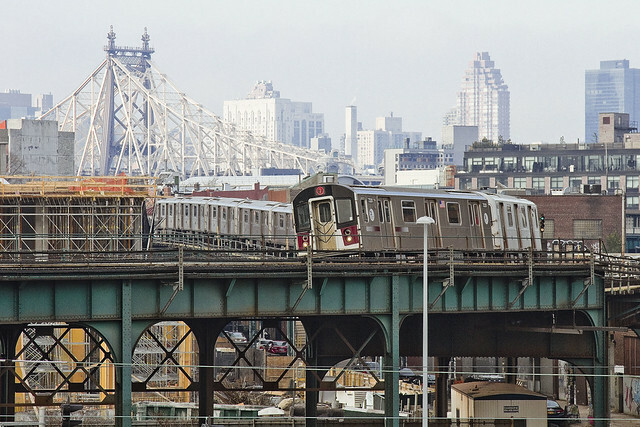 The photo above depicts the most photogenic of NYC’s subway lines – the IRT Flushing, or 7 line – exiting the elevated tracks of the Court Square Station and traveling on its way to Manhattan. One spent a bit of time up on the tracks, as I ran into an old friend while making my way up there and we spent some time catching up while I waved the camera around. The cutoff is brutally bare during the winter months, as all of the self seeded vegetation surrounding it is deep in hibernation. During the warmer months, it’s positively verdant up here – an island of green amidst the concrete devastations of Western Queens. Disturbingly, the Queens Cobbler seems to have visited the Cutoff recently, leaving behind one of the totemic “single shoes” signaling that he or she was here. 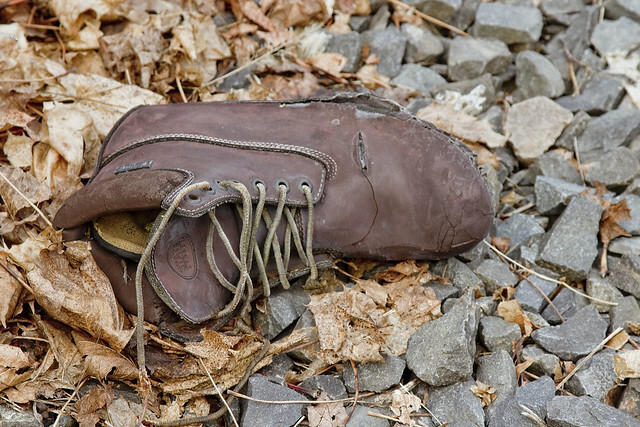 The “Queens Cobbler” is the name I’ve assigned to a likely serial killer who claims human lives all around the Newtown Creek watershed, leaving behind a single shoe to announce that their latest hunt has been successful. Someday, the NYPD will happen upon a hidden warehouse room in LIC or Maspeth filled with footwear and gore, and on that day – the metaphorical and literal “other shoe” will truly fall. Back next week with something completely different at this – your Newtown Pentacle.